Another very interesting album has been released from the German label “Between the Lines” which has a reputation for consistently releasing works of quality. 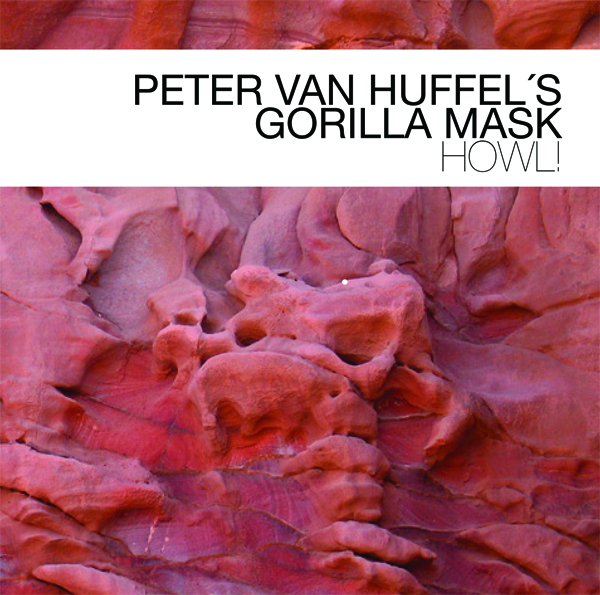 It is by the Berlin based trio, “GORILLA MASK”, led by by Canadian reeds player Peter Van Huffel. The album was released in Germany on October 26, 2012 and is thus literally brand new. As jazz continues to evolve, combining elements from various musical origins has become widely utilized and in Van Huffel’s music we can hear highly energetic but gracious fragments of free-improvisation, heavy metal, hard rock, folk music, and more. The music gives one the impression of being moved through an intense whirlwind. As with every outstanding band, Gorilla Mask‘s attributes include a simplicity of melodies which are easily absorbed into consciousness, sharp strong beats which actually seem to act on the body in a physical sense, instant adaptability to incessant changes, and, of course, technical virtuosity of the instrumentalists. Van Huffel’s sound may be reminiscent of some legendary free jazz fighters; but it incorporates a uniquely characteristic strong attack with a constantly advancing intense beat: even the slower moments do not fall into gloomy meditation or hackneyed phrase “silence” but always tacitly maintain the heart beats. Thoroughly absorbed and developed jazz idioms explode directly on rising waves of hard rock. The way that tight rock beats surge suddenly from the howl of obstinate riffs provides a very exciting aspect to the music. The band also appears very aware of the influence repetition exerts with respect to drawing in an audience. The very intensely sanguine technique holds up even in the face of apparent disorder. Although occasionally three instruments will collide violently (and what kind of explosion they provide! ), a kind of wholeness of the sound is curiously maintained. Supported by highly pressured sounds and tensions, Gorilla Mask takes its audience up and down steep and tantalizing musical cliffs. For this kind of band, it is clear that rhythm sections play a crucial role. From the beginning to the end of the album, our attention is glued on the wonderful capability of the bassist, Roland Fidezius, his astounding stamina. Not to mention the thick crafty tracing of the bass line on acoustic parts, the sophisticated drone and device usages are peculiar to the young generation that hunts for music without prejudice. Fidezius’ virtuosity could be viewed as a living “sampler”. The drummer, Rudi Fischerlehner shows an amazing flexibility as if he is coiled around the bass. His drumming surprisingly and broadly expands like an amoeba moving drastically from delicacy to boldness in an instant. ?E?E?E?E?EEach of the three musicians has a distinct instigative power which directs the audience’s attention to the music’s non-technical aspects. Importantly, “groove” (let people take part in music) is a concept that does not need consideration. After having overcome any obstacles that make ”jazz” inaccessible, simple and fresh ground is carved out—-though it is also outside of technical and compositional perfections. From the audience side, it is also absurd to use phrases like “special technique” etc. We should just enjoy it! After all, what does the band name “Gorilla Mask” signify? Is it a lack of a substantial difference between truth and falsehood? Or, is it the strength of “radicalness” beyond the category of biological dominance? At least in music, groove rules supreme.